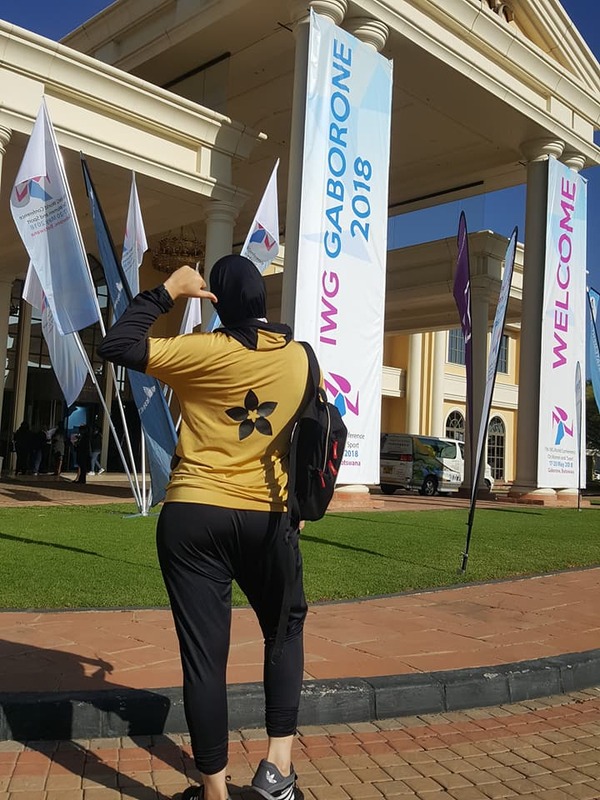 Nashata is blessed to participate in the 7th IWG on Women & Sports held on the 17th-20th May in Gaborone, Botswana. 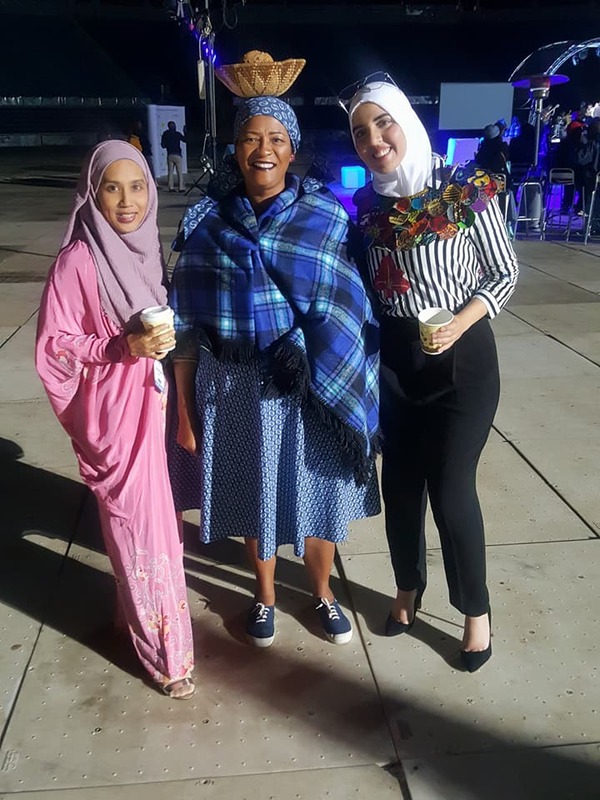 Nura Arabi, Nashata Ambassador and I were there for the first time to present a paper and to participate in dialogues pertaining to women in sports. It was a great experience, a good platform not only to share your work, but to network, have conversations and understand topic of interests in other market. 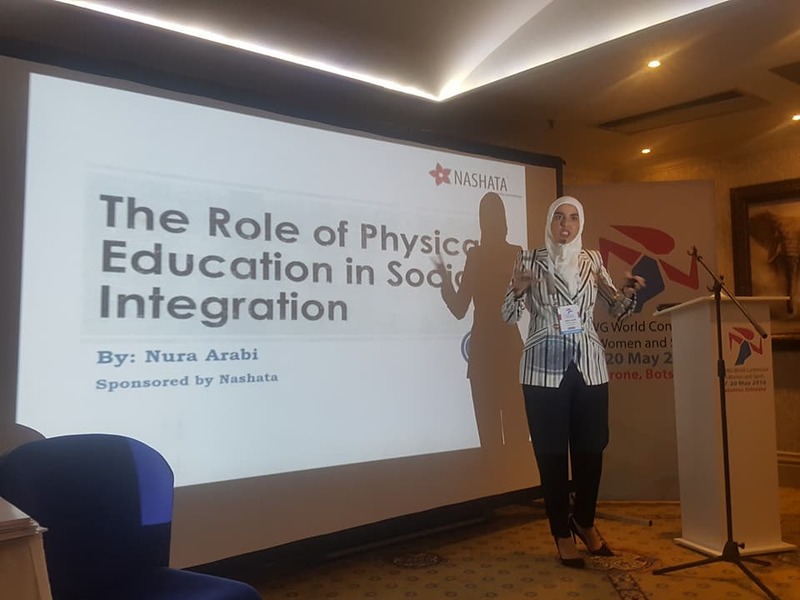 The conference brought together academicians, media, policy makers from sports federation, United Nations and several countries, as well as private sectors. Finland, being the last IWG host brought most participants after Botswana. Other representatives came from the UAE, Kuwait, Japan, Korea, Bangladesh, Israel, Australia, Canada, New Zealand, Namibia, Uganda and South Africa. 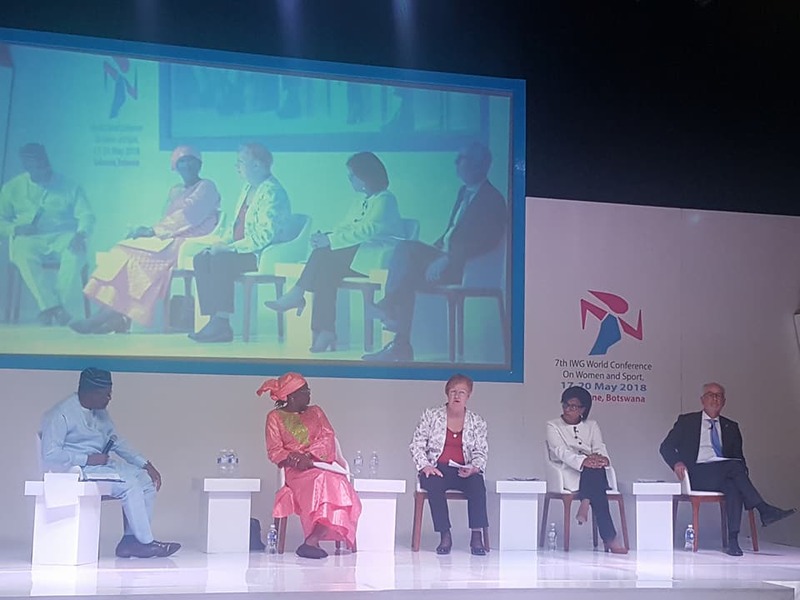 The former President of Finland, HE Tarja Halonen, graced the event with an important reminder about having women leaders in sports. Birgitta Kervinen, the President of European Non-Government Sports Organization (ENGSO) supported the message : Dream, Speak up & Act. Be the leader & lead the change. A few other key speakers echoed the theme with strong emphasis on leading by efficient and effective example and to act with integrity. The suggestions and sharing covered promoting and grooming female coaches, world class female athletes and sports media – inspire female athletes to progress further in sports. Female athletes should be given equal pay, just as men’s. Although not highlighted at the conference, I find parents, especially mother play an important role in supporting girls in sports. Active or athletic parents have strong inclination to support children’s interests in sports, and they are good inspiration for children. Be it training or competition, it is important to provide adequate equipment, safe environment and space for athletes. 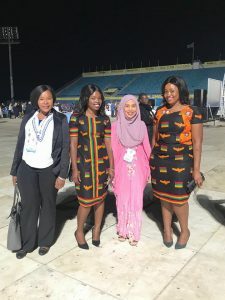 In certain societies, due to cultural or religious belief, there could be constrain for a female athlete to travel without a family member or mahram. More conversations and awareness can help parents and organizations to understand safety protocols can be developed to ensure female athletes are safe while travel. The International Olympic Committee has put together a kit on safe sports, available for public at https://www.olympic.org/athlete365/library/safe-sport/. You can find e-learning courses from their site. I believe sports is a good way to bring people together. At the conference, a few examples were shared on how private sectors have helped marginalized community to participate in sports. It could be through donation, providing training, equipment and facilities and many more. It is through programs by Sports Outreach and Sports Gift, athletes like Phiona Mutesi get to shine both in sports and academically. Contact us if you are interested to participate in the next IWG in 2022! 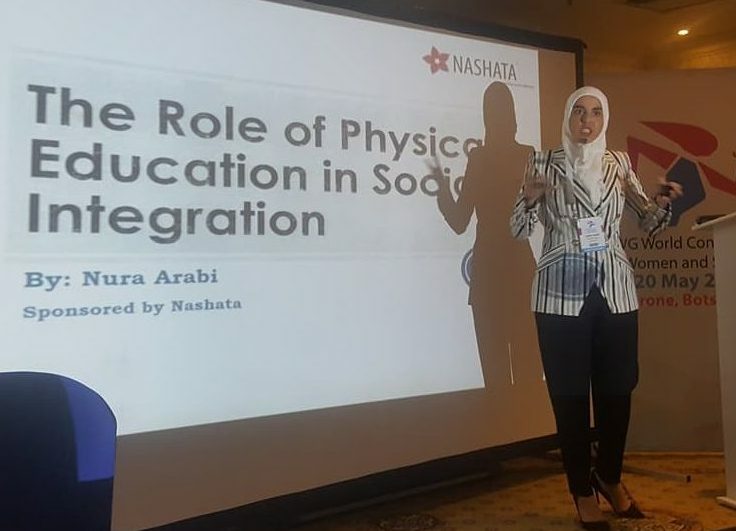 Nashata sponsored a paper, titled The role of physical education in social integration, authored by Nura Arabi, Nashata Ambassador, echoed the spirit of diversity and respect. You can go through her slides here. 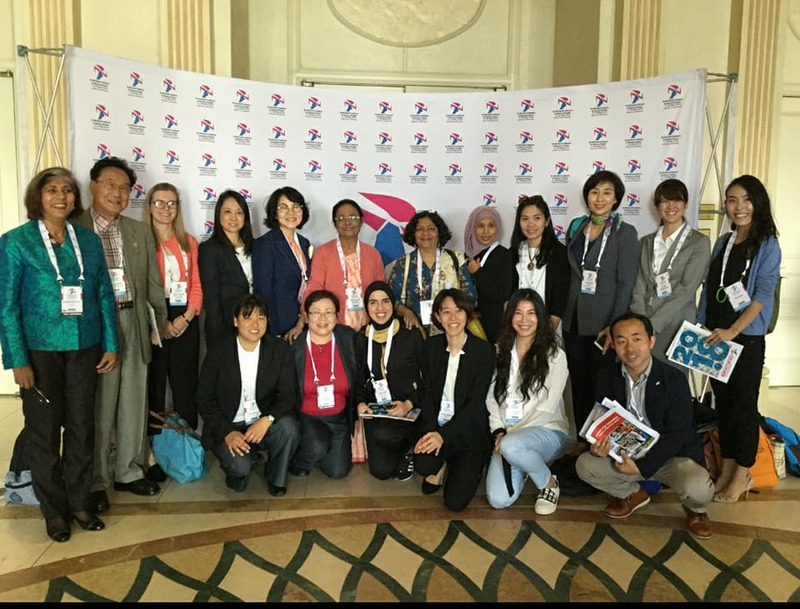 The 8th IWG World Conference on Women & Sports in 2022 in New Zealand. So please share the words around so that we have papers and thoughts shared at the conference. For the next IWG World Conference, Nashata is happy to sponsor accepted papers, authored by ASEAN scholars. We need more conversations and awareness so that our concerns and work can be understood and shared. Lastly, Gaborone is such a lovely city. The food was good, people are super friendly and hospitable. Every night, the organiser arranged lovely dinner followed by colorful performances. Here are some pictures of the colorful ladies from Africa!